I feel super lucky to be a wedding photographer living practically next door to the amazing National Trust wedding venue of East Riddlesden Hall, in West Yorkshire. 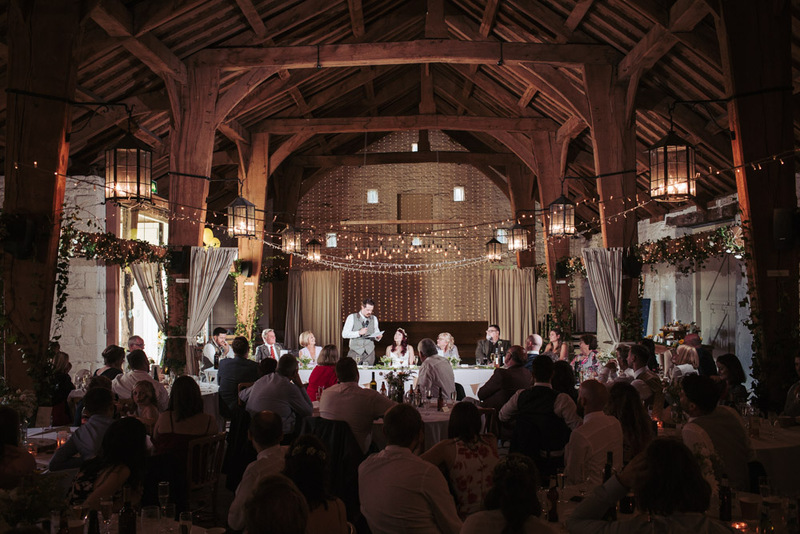 The beautiful grounds and setting of the rustic 17th-century Airedale barn, made for a spectacular backdrop for Rebecca & James’ wedding celebrations. Photographing the wedding day of such a super fun couple, accompanied by their wonderful friends and family, certainly made for a bloomin’ marvellous day! Becky & James started their day with the ceremony at a local church, followed by the reception being held at East Riddlesden Hall. It was a moustache twirling fun day filled with Moscow mule fuelled laughs, the cutest photobombing toddler, the tastiest chocolate cookies and the best performance of the ‘Bring Me Sunshine’ dance ever – complete with epic wardrobe malfunction for good measure! I loved that James used his graphic design skills to create all the stationary for the wedding too. 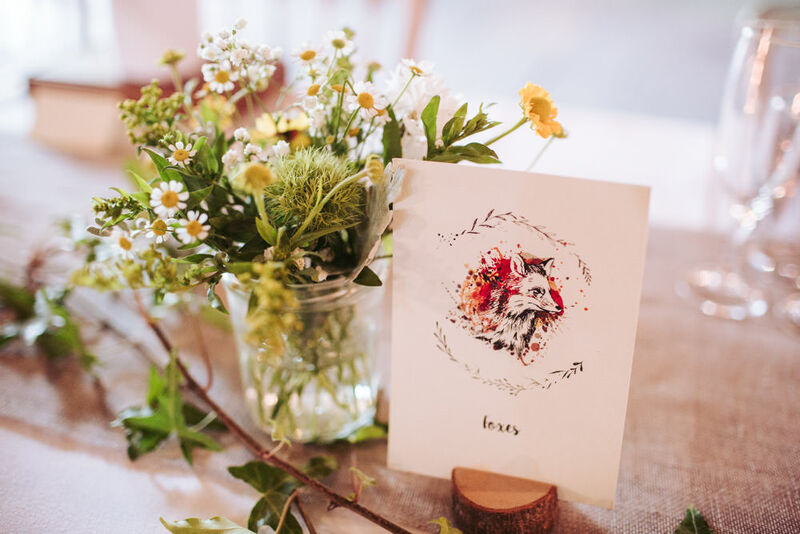 This included beautiful animal designs for the seating plan and I, of course, immensely approved of the ‘Foxes’ design being reserved for the top table! These sat perfectly with the rustic woodland decor and natural handpicked white and yellow garden florals, mixed with beautiful golden sunflowers. Becky wore an elegant A-line wedding dress with strappy back, plunging neckline and stunning French tulle skirt. While James wore a bespoke tweed suit, complete with sunny yellow socks. 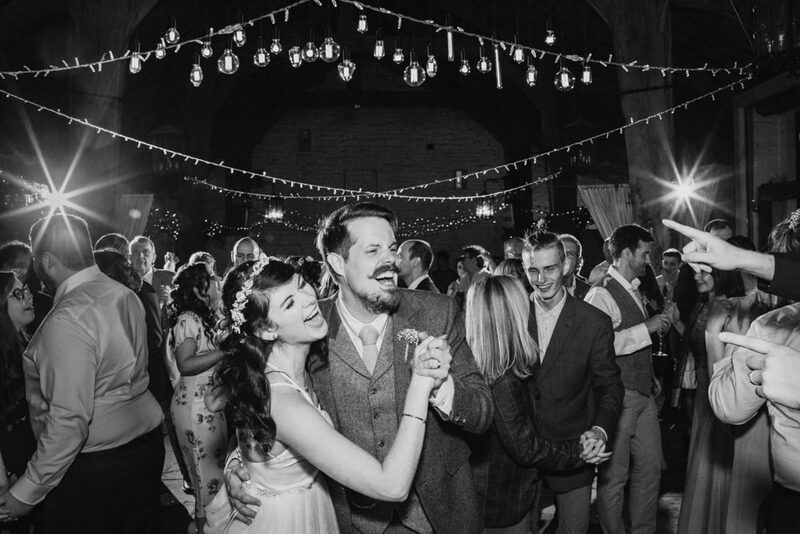 The night ended, as any wedding should, with good ole knees up to a live band and a generous amount of shape throwing around the dance floor! 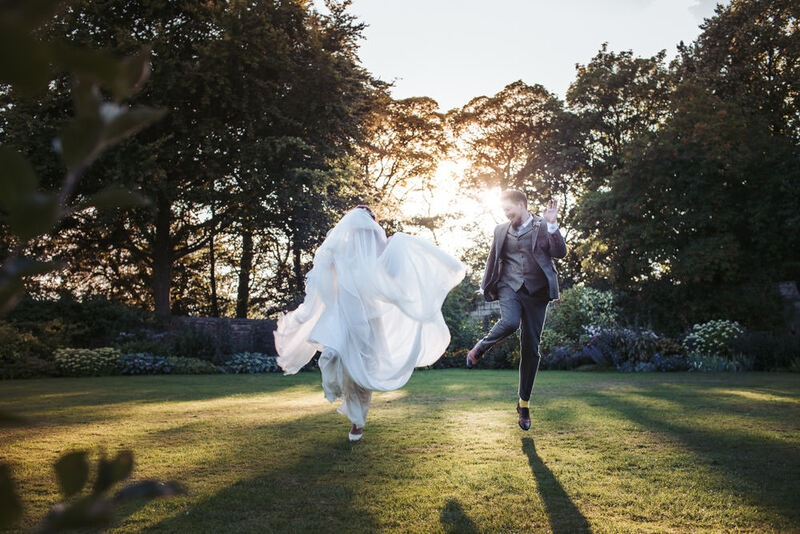 It truly was a joy to capture Rebecca & James’ relaxed and fun wedding day! A huge congratulations to the newly weds! I’m also allowing myself some extra eco friendly points for shooting this particular wedding, as I living in Riddlesden, a whole 5 minute walk from the venue – Hooray! Check out a small preview from their day below. East Riddlesden Hall Wedding Photography. You can view Becky & James’ wedding highlights in full below. If you’re in search of a wedding photographer, I would love to hear from you! Stationary: The groom, James designed all the menus, order or service and seating table plan.